Condo Rentals in Maui: Tips to Get the Best Deal! Condo Rentals in Maui: Easy Tips for a Great Deal! Looking for condo rentals in Maui? 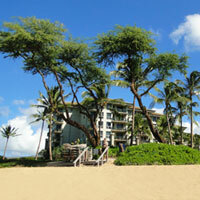 Use my easy tips to get yourself a discount Maui vacation condo rental. Why spend more if you don't have to? Just Because THEY are Doing It, Doesn't Mean That YOU Should Do It! This is certainly true if you want to save money on your condo rentals in Maui. 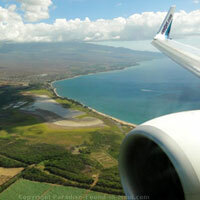 Most people travel to Maui during "high season," mid-December to mid-April - this does NOT mean that you should too! 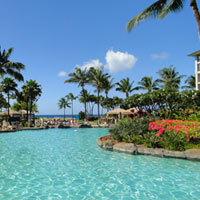 By traveling to Maui during low season, you can save a bundle with a discount Maui vacation condo rental. When comparing prices, I was amazed at the premium one has to pay for condo rentals in Maui during high season. Typically, the absolute best time to get a discount Maui vacation condo rental is from mid-April to the end of June, or from September to mid-December. The next best time is over the summer months of July and August. My thoughts are that if you live in the northern hemisphere, you ought to try September to early December. This way, you can enjoy a warm summer at home, and then escape to Maui once the snow starts to fall! If you live in the southern hemisphere, escape some of your cooler weather by heading to Maui during the mid-April to June low-season. Book Your Condo Rentals in Maui Direct! Direct from the owner, that is! You can save a bundle of money by booking your condo rental directly from the owner. Since the owner won't be paying a premium price to their condo property management company for finding a renter, they can pass along those savings to you! We recently finished booking our discount Maui vacation condo rental directly from the owner - we were very pleased with the savings over booking the same condo via the property management company. Shop for Maui Vacation Condo Rentals! Don't Cut Your Vacation Short! 1) Go to Maui for 2 weeks every year. 2) Go to Maui for FOUR weeks every TWO years. Most people go for option 1. However, IF you can swing it, going for option 2 (going to Maui half as often but for twice as long!) can save you a bundle. Many condo owners will give substantial discounts to people who are willing to rent from them for longer periods. As an example, we recently saved about 40% off the nightly rate by booking a Maui vacation condo rental for 4 weeks rather than 2. One could stay for 2 weeks at $180 per night for a cost of $2520... or, stay for 4 weeks at $3080. Not bad, huh? Much more economical to go for 1 HUGE 4 week vacation than 2 regular 2 week vacations! Don't assume the advertised price is lowest they'll go. When you peruse the ads for condo rentals in Maui, you'll see that there are several which specify the discounts offered for longer stays. But just because they don't SAY there is a discount for longer stays, does not mean they won't offer it... if you ask! My advice? Send a polite inquiry to all of the condos that interest you to see if they will offer a discount for longer stays (ex. 4 weeks or more)... If they say no, that's fine. But you will likely be pleasantly surprised at just how many owners are willing to offer a discount Maui vacation condo rental! Find deals on condo rentals in Maui! HomeAway.com makes it SO easy to search for Maui condo rental deals! If you already know what ares of Maui you wish to stay at, just select it to narrow your search. They have a huge selection of properties to choose from! The BEST part about HomeAway.com is their "Carefree Rental Guarantee:" In the unlikely event that the condo you rent is foreclosed, was accidentally double booked, or was misrepresented, their rental guarantee covers you for up to $10,000. And of course, their Maui vacation condo rental listings include photos, reviews and all of the information you need to find the perfect deal!